I understand that when sponge painting, the finish of the base coat can be flat, satin or glossy (depending on our preference). But what about the sponged on coats? Should their sheen level match that of the base coat? What sheen/finish you choose for the overlay/sponged coats will depend on the look you are trying to create. If you want the final result to have an overall flat finish, then sponge on a flat finish glaze over a flat finish base coat. 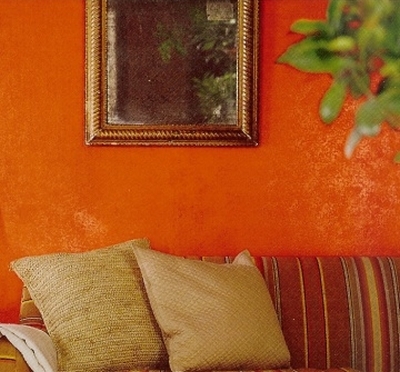 Likewise, if you prefer a satin allover finish for your walls, then use it for both the base coat and the sponging glaze. In both cases, the visible sponged effect will come from the difference between the base coat color and the color of the glaze. Now if you want to kick it up a notch, use different finishes for the base coat and the overlays - for example, a flat base coat with satin sponging, or a satin base coat with flat sponging. The final result will be more dramatic - because you will see not only the variation in colors, but also the difference in sheen (more texture). TIP: test it on a sample board first to make sure it's not too much drama for you. 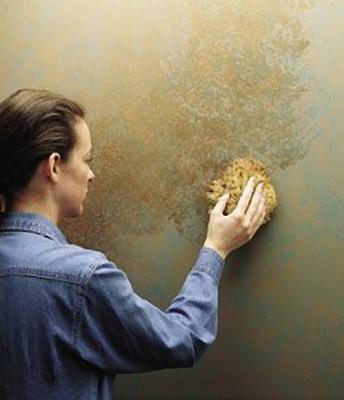 You can also use different finishes in the same color to create a visible sponging effect. In other words, keep the base coat and the overlay coats the same color, but in different sheens. 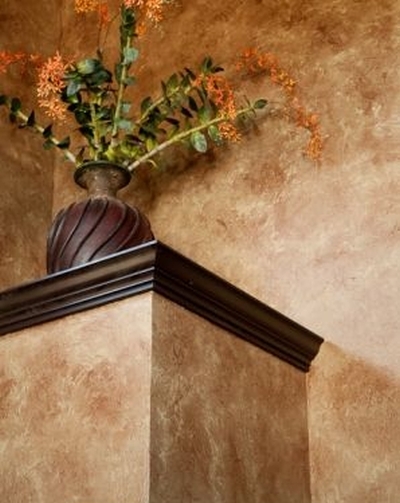 The best option is to choose a flat finish for the base, and a satin finish for sponging. This will create a very subtle, understated, light and shadow play effect. 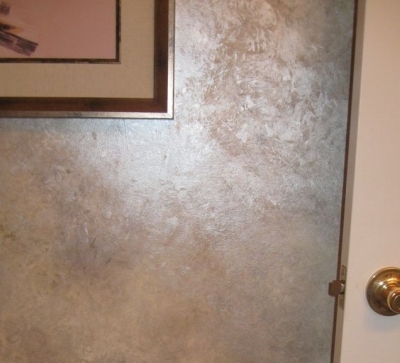 And finally, you can use metallic glaze for sponging over a flat or satin finish base coat. 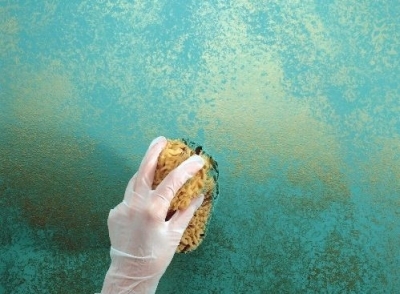 The color of the metallic product can match the color of the base coat (for example, silver metallic sponging over a gray base coat - if you want to keep the look more reserved), or it can be completely different (like gold metallic sponging over a navy blue base coat color - when you want to add some serious razzle dazzle to a room). 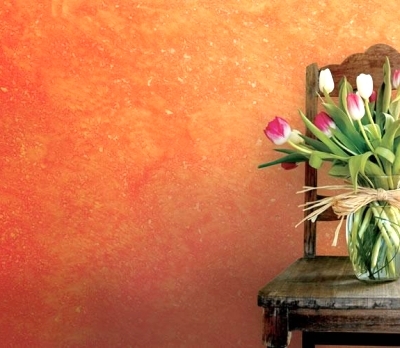 Click here to ask your own question about sponge painting. Return to Sponge Painting Q&As.